Granatstein, J.l.. "Vincent Massey". The Canadian Encyclopedia, 07 May 2018, Historica Canada. 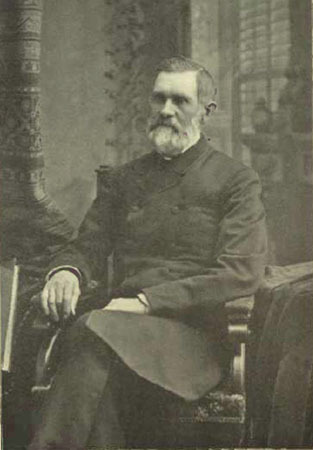 https://www.thecanadianencyclopedia.ca/en/article/massey-charles-vincent. Accessed 24 April 2019. Governor General Vincent Massey, photographed in 1954. 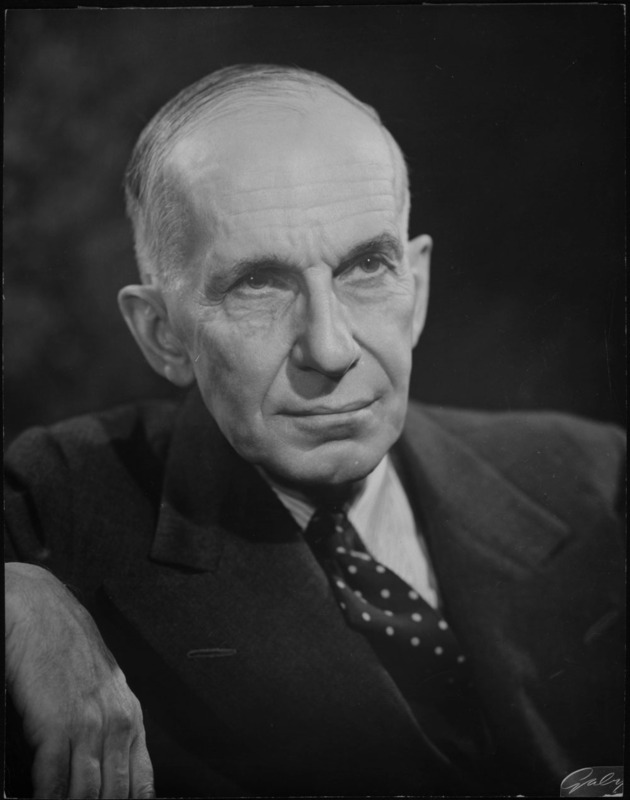 Vincent Massey was born in Toronto on 20 February 1887 to one of the wealthiest families in the city. The son of Chester D. Massey and Anna Vincent, he was also the grandson of Hart Massey who developed the farm-implement company Massey-Harris (now Massey Ferguson) into a powerful international corporation. Vincent was also the brother of actor Raymond Massey. (photo by T.E. Moore/courtesy Varity Corp). 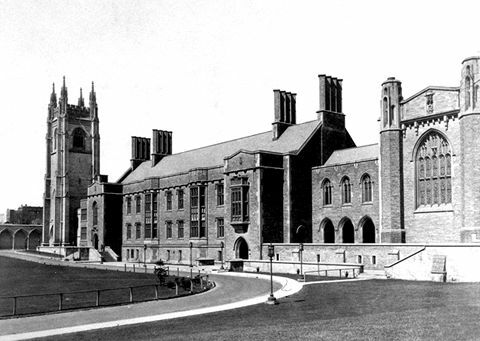 Returning to Canada, Massey lectured in history at Victoria College, University of Toronto from 1913 to 1915. He had enlisted as a militia member in the Queens Own Rifles of Canada in 1907. When the First World War broke out in 1914, he was commissioned as an officer for Military District No. 12 in Regina, Saskatchewan. During the war he worked with the Officers Training Corps and in 1918 for the war committee of the federal Cabinet. He did not serve overseas during the war. On 4 June 1915, Massey married Alice Parkin. They had two sons, Lionel and Hart. With money from his grandfather's legacy, Massey helped finance Hart House — the student center at the University of Toronto, named for Massey's grandfather — and after the war Massey was active as an actor and director at Hart House Theatre. In 1918, along with family members he established the Massey Foundation, which amassed a large collection of artwork, and was the first trust of its kind in Canada, supporting new artistic and architectural projects. Hart House, on the University of Toronto campus, was endowed by the Massey family and named for Hart Massey (courtesy University of Toronto Archives). Businessman and philanthropist Hart Massey, for whom Hart House is named, date unknown (public domain). Massey was president of his family’s company Massey-Harris from 1921 until 1925. That year he joined Prime Minister William Lyon Mackenzie King’s Cabinet as minister without portfolio, but he failed to win a seat in Parliament in the October 1925 election. In 1926, King made Massey Canada's first minister to the United States — which also made him Canada's first ever envoy with full diplomatic credentials to a foreign capital. He served until 1930. In 1935, King named Massey high commissioner to Britain, a post he held until 1946. Massey was more successful at the social aspects of diplomacy than the hard-slogging details of bilateral negotiation. However, he had access to the highest quarters of the British government. In London, he was also the Canadian delegate to the League of Nations in 1936, trustee of the National Gallery and the Tate Gallery from 1941 to 1945, and chair of the Tate from 1943 to 1945. To honour Massey’s contributions in Britain, King George VI made him a Companion of Honour in 1946 — an order limited to the king and 65 others. Back in Canada, Massey served as chancellor of the University of Toronto from 1947 to 1953, and chairman of the National Gallery of Canada from 1948 to 1952. In 1949, Prime Minister Louis St-Laurent named him chair of the influential Royal Commission on National Development in the Arts, Letters, and Sciences (informally known as the Massey Commission), a post that suited him given his status as a patron of the arts. The commission held 114 public hearings across Canada and received 462 formal submissions. His report in 1951 recommended the formation of a Canada Council, which was established in 1957, and set the groundwork for establishing the National Library of Canada. Massey’s promotion of a national festival of the arts eventually led to the founding of the National Arts Centre. On 1 February 1952, the official announcement was made that Massey would become governor general. This made him the first Canadian-born governor general following the appointment of 17 British subjects to the office since Confederation. Massey’s appointment prompted criticism from traditionalists who were concerned that the Queen’s representative was Canadian-born and a commoner. However, since Massey’s appointment, every governor general has been a Canadian citizen. Five days after it was announced that Massey would be governor general, King George VI died, making Massey the first Canadian representative of Queen Elizabeth II. As a measure of respect for the king’s death, there was little ceremony surrounding Massey's investiture as governor general on 28 February 1952. 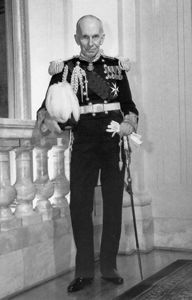 Massey said he found inspiration for his new role in former governor general John Buchan, also known as Lord Tweedsmuir — someone he “greatly admired” and “learnt much from.” Massey’s love of British pageantry was evident in 1953 when he revived the use of the state carriage during the Ottawa celebrations for the coronation of Queen Elizabeth II. 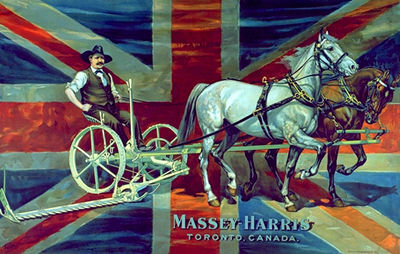 The carriage brought Massey to Parliament Hill where he introduced the Queen’s coronation speech, broadcast from London around the world. The carriage continued to be used for ceremonies marking the opening day of Parliament and official state visits. To commemorate the Queen’s coronation, Massey issued silver spoons to all Canadian children born on that day, 2 June 1953. Massey’s wife Alice had died in 1950, just 18 months before his appointment as governor general. His daughter-in-law, Lilias, acted as hostess at Rideau Hall while Massey was in office. Massey’s term as governor general was extended twice — by St-Laurent and by Prime Minister John Diefenbaker. During his time in office, Massey promoted Canadian unity and identity and praised the country’s cultural diversity. He also stressed the importance of learning both English and French, decades before bilingualism became an official federal government policy. Massey’s greatest ambition was to create a Canadian honours system. While that did not happen during his term, his efforts helped spur the eventual creation of the Order of Canada in 1967. Massey was one of the first Companions of the Order of Canada (CC), appointed in 1967 just months before his death. In 1953, Massey established the Governor General's Awards for Architecture, and in 1959 he created the Massey Medal to recognize national exploration, development, and description of geography for the Royal Canadian Geographical Society. Massey journeyed by canoe and dog team in his travels across Canada, when more conventional means of transport couldn’t reach his destination. He toured the Arctic frequently, visiting such places as Frobisher Bay (now Iqaluit) on Baffin Island, and the Arctic hamlet of Hall Beach. 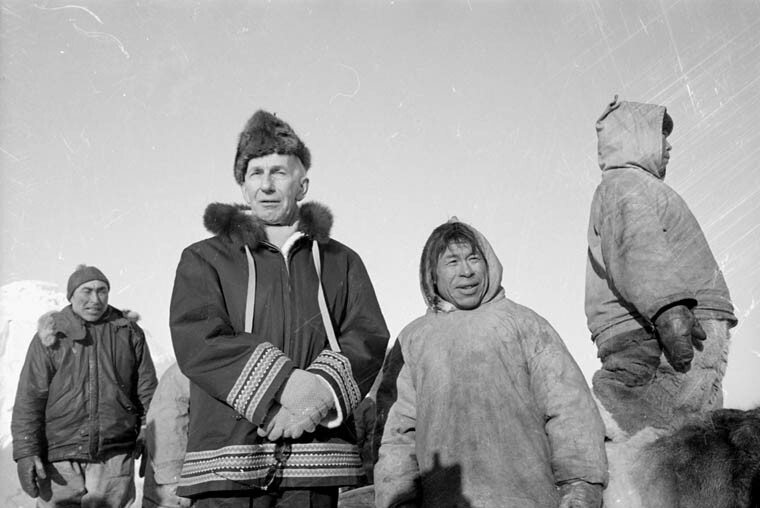 Governor General Vincent Massey with Isaacke Sapkajuk and other Inuit at Hall Lake, Northwest Territories (now Nunavut) in March, 1956. Among his more unusual ceremonial duties was his 1958 Dominion Day (now Canada Day) speech that inaugurated the CBC’s first national televised broadcast. Massey welcomed the Queen and Prince Philip to Ottawa on three royal visits and invited the royal couple to stay at his private estate, Batterwood House, near Port Hope, Ontario while they were on a cross-country tour. He also hosted several foreign leaders, including US President Dwight Eisenhower in 1953. Massey was invited by Eisenhower to Washington, D.C. and addressed a joint session of Congress on 4 May 1954. 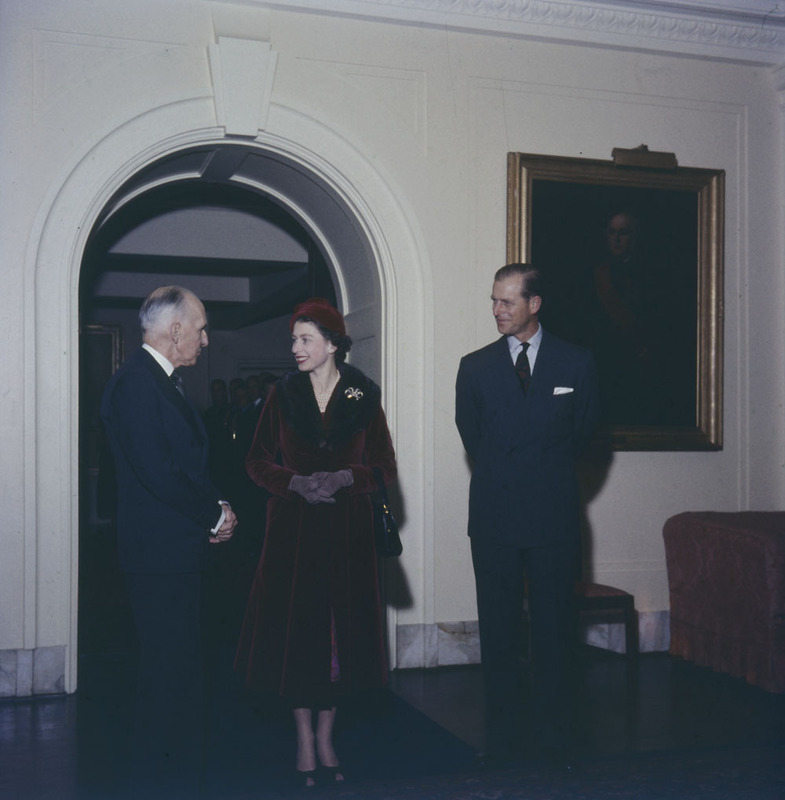 Queen Elizabeth II and Prince Philip with Governor General Vincent Massey at Rideau Hall, October 1957. On 15 September 1959 Massey retired and moved to Batterwood House. He continued to chair the Massey Foundation as he had since 1926. Today, he is commemorated by the University of Toronto’s Massey College, which is named after him, and by the influential Massey Lectures, a public lecture series established in his memory in 1961. In his book On Being Canadian, Massey noted: "I believe in Canada, with pride in her past, belief in her present, and faith in her future." Massey also wrote and published What's Past is Prologue in 1959 and Confederation on the March in 1965. He died on 30 December 1967 while visiting London. Following a state funeral, he was buried in an Anglican cemetery near his Port Hope home.